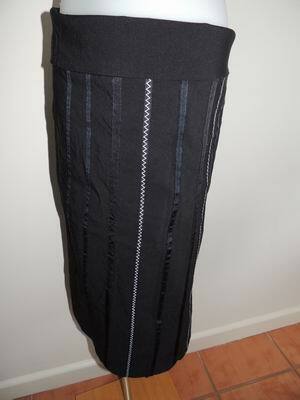 A lovely little skirt by Patch, in a black fabric with wide foldover waistband, plenty of stretch. It is tagged M for is more of a L or 14. 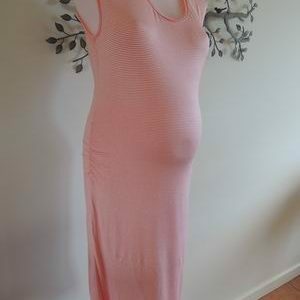 It is in very good preloved condition. There are some ribbons sewn down the front, two have a white zig zag stitch which gives it a very unique look. The back is plain. Be the first to review “Black Maternity Skirt with Ribbon Detail” Click here to cancel reply.